Sonabai lives beside a tree that bears delicious red berries. 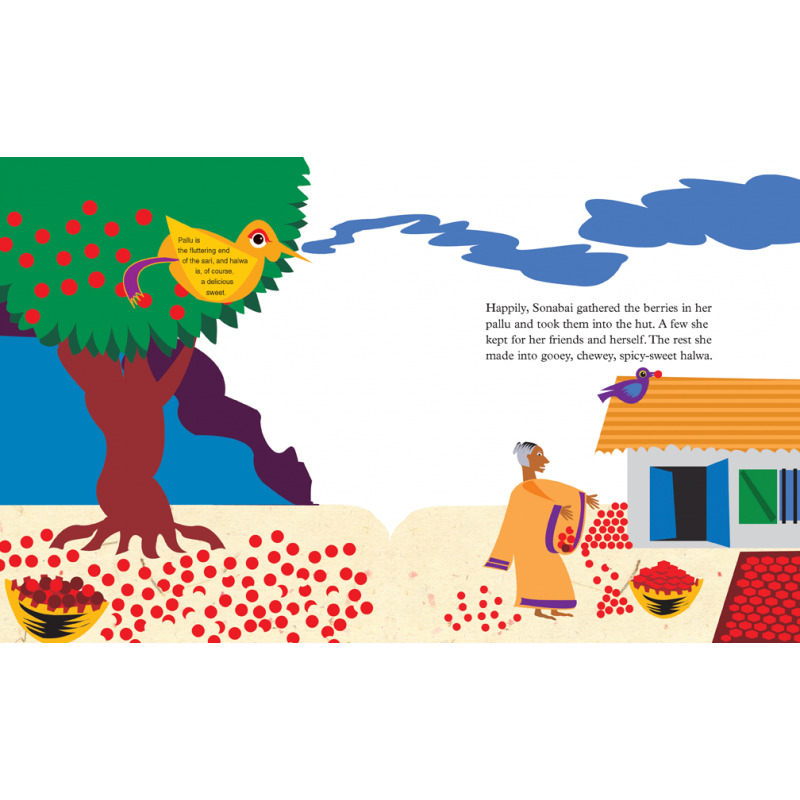 Every day she picks the berries and makes sweets to sell in the market. 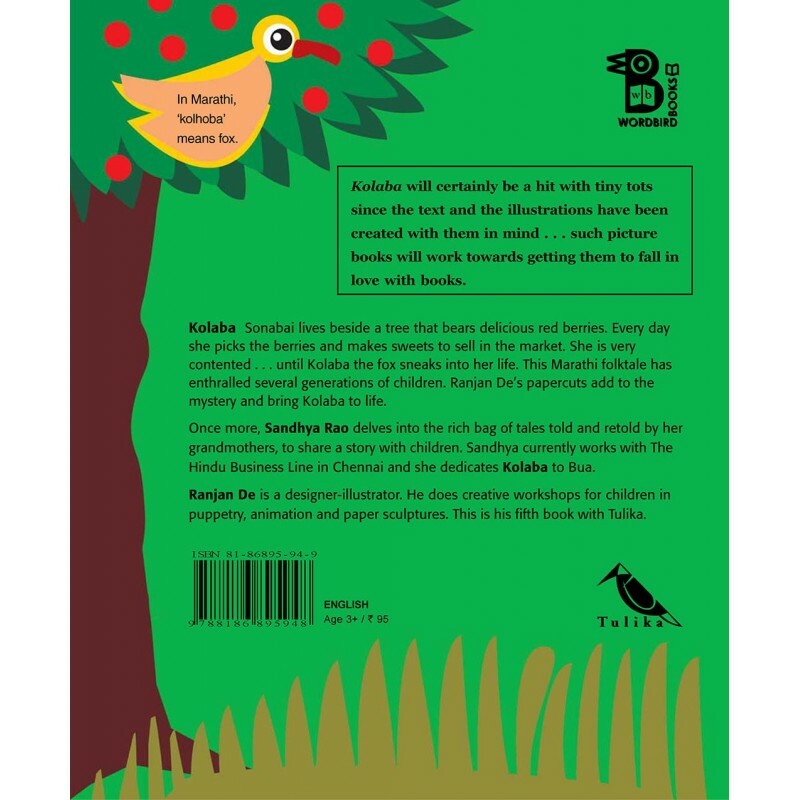 She is very contented.... until Kolaba the fox sneaks into her life. 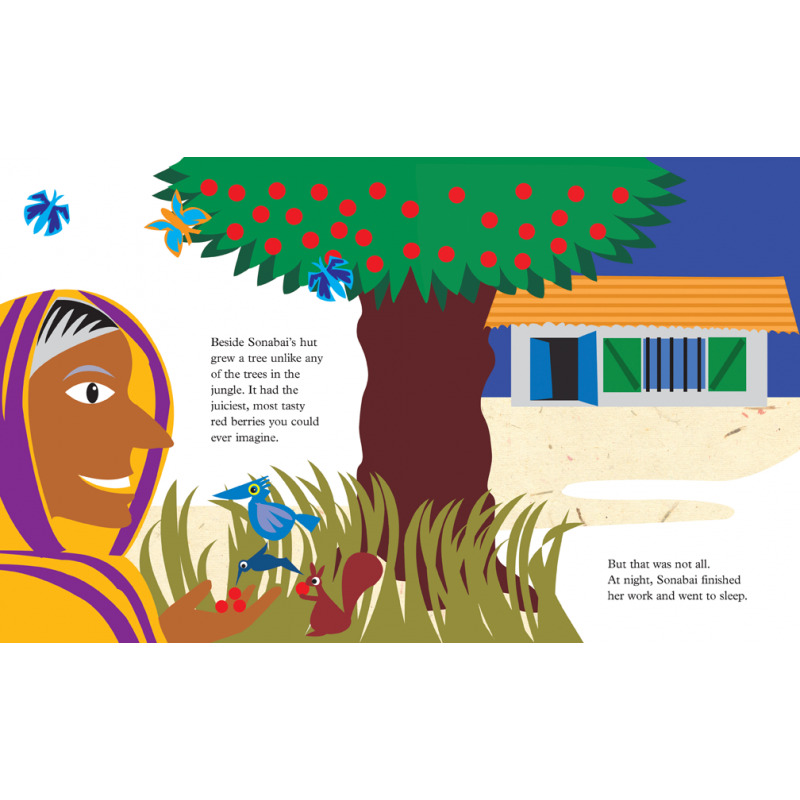 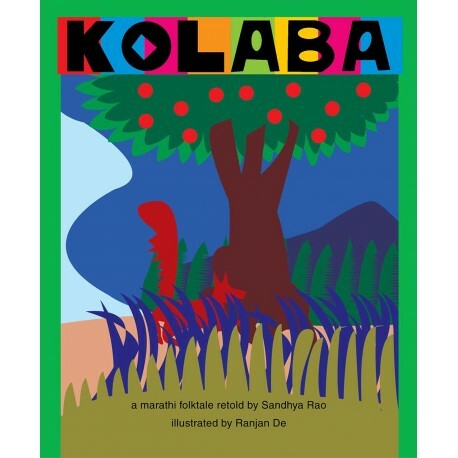 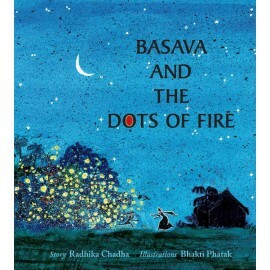 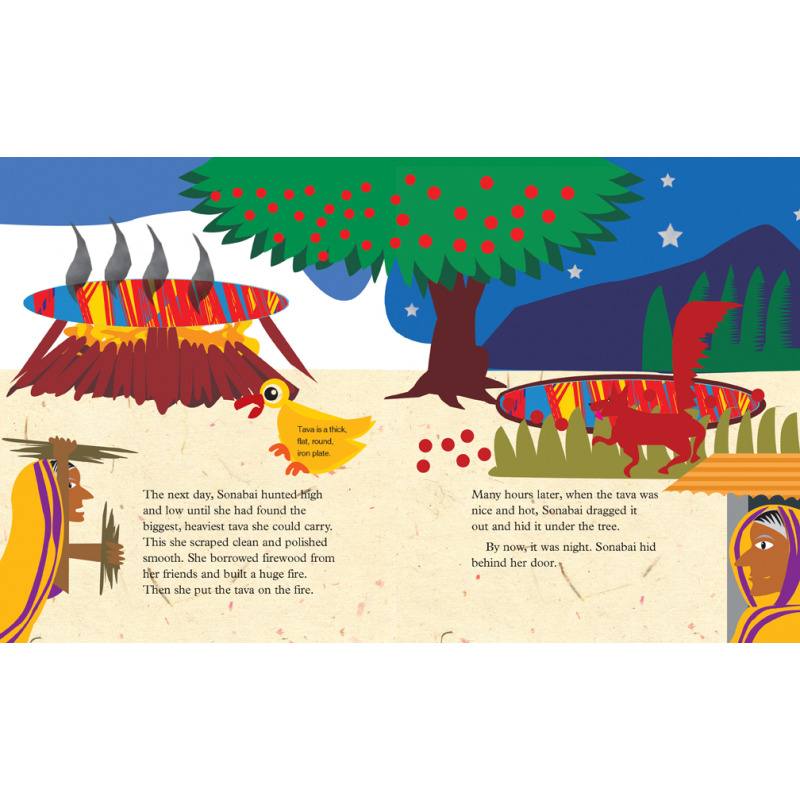 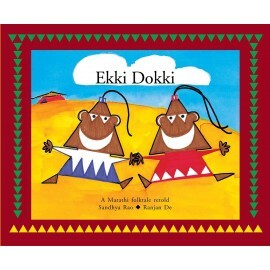 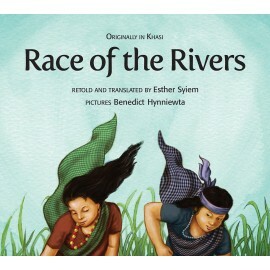 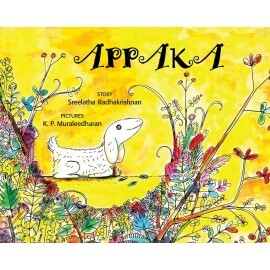 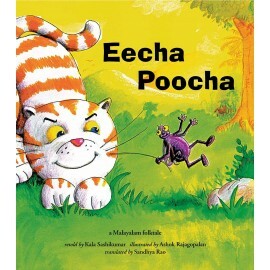 This Marathi folktale has enthralled several generations of children. Ranjan De's papercuts add to the mystery and bring Kolaba to life.